If you're at all familiar with gambling and casinos owned by Native American tribes specifically, then you may know that gaming venues around San Diego are extremely competitive. In fact, most local casinos are on par with their Las Vegas counterparts. Sure, it doesn't replace heading to Sin City, but when the gambling bug hits, you have some fine establishments to choose from. Here are the top picks for Native American casinos around San Diego. Sure, this well-established casino might not have a fancy resort (yet), but Viejas gets the nod in these rankings because it is a master at diversifying. Viejas Entertainment puts on top-notch concerts at the casino and around town, and the ​Viejas Outlet shopping center is probably the standard for upscale outlet shopping. The casino recently underwent an expansion, including a new upscale V Lounge bar. Plus, Viejas's freeway access is the easiest of all the casinos. Pechanga Resort and Casino comes in at a close third place only because of one reason—it is located in Temecula, across the San Diego County line in Riverside County. Other than that, everything about Pechanga is top-notch, which is why it is the largest casino in California. A beautifully appointed four-diamond hotel complements an enormous and spacious casino with great dining. 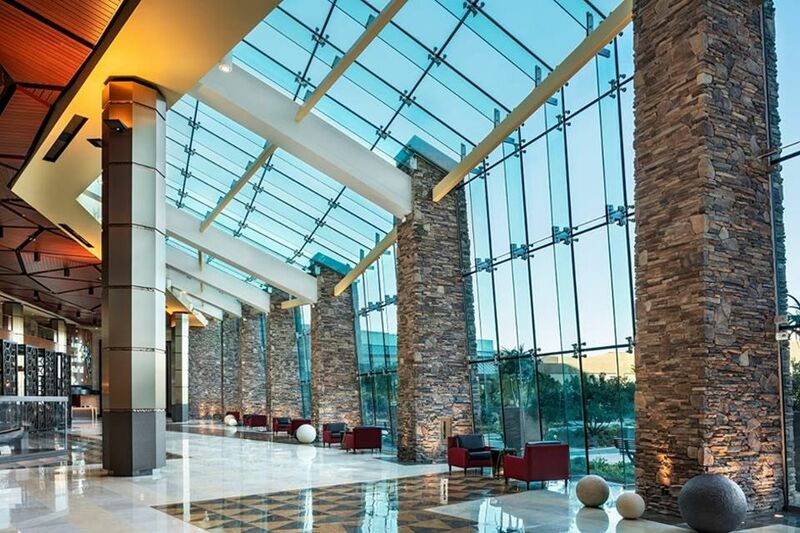 Freeway access is easy, and Pechanga puts on stellar concerts and sporting events. It's worth the drive. Giving Pala Casino Spa and Resort fourth place is a bit misleading. Pala, with its four-diamond hotel and large casino, is the prototypical Indian casino that harkens to the Vegas experience. It features great dining, top-name entertainment, and exquisite amenities. Pala has spa facilities and an expansive pool area with cabanas, and it attracts big-name entertainment concerts. Sycuan is one of the first casinos established in San Diego County when it started as a bingo venue. It has grown into a full-blown gaming center, though the resort facilities are actually located several miles away at the Singing Hills Golf Course. The casino has its share of concerts in the cozy Live and Up Close ​Theater, though not the top names that Viejas, Pala, and Pechanga attract. But the gaming and dining facilities are nicely done, and the drive isn't too bad. Since the gaming giant Harrah's runs the Resort Southern California, it's no surprise it goes for the Las Vegas experience. A new 21-story hotel tower has made the formerly cozy resort into a full-blown entertainment complex. Harrah's also attracts a range of name acts for its concert series, but it gets a few minus points for its remote location and attention-taxing drive. But for getaways, you'll definitely feel like you're enjoying luxury at this spot. The all-new Valley View Casino and Hotel currently offers more than 2,000 exciting slot machines; more than a dozen table games including single-deck blackjack, double-deck blackjack, and Pai Gow poker; delicious dining options including an award-winning buffet, the Black&Blue steakhouse, and lounge. Valley View is also becoming a player in the summer concert competition with a new outdoor venue featuring top-name entertainment. The casino has been a vision of the San Pasqual Tribe for many years and the Grand Opening on April 18, 2001. The San Pasqual Band of Mission Indians are members of the Kumeyaay people. Casino Pauma is one of the smaller of the cluster of North County casinos that include Pala, Resort Southern California, and Valley View. Casino Pauma's spacious gaming floor is filled with a huge selection of the hottest slots around, including penny, nickel, quarter, and dollar slots. It has traditional favorites and the newest, interactive games, including video poker and keno. Federally recognized since 1891, and established in August of 1892, the​ Pauma Band is one of seven Bands of the Luiseño people located in San Diego and Riverside counties. The Band opened Casino Pauma in May 2001. An hour east of San Diego along Interstate 8, Golden Acorn Casino and Travel Center is a casino/truck stop just before you head down into the desert region of San Diego and Imperial counties. Golden Acorn has 750 slots as well as more than 13 table games. The adjoining truck stop includes a trucker’s lounge with internet access, laundry facilities, private showers, ​and TVs.